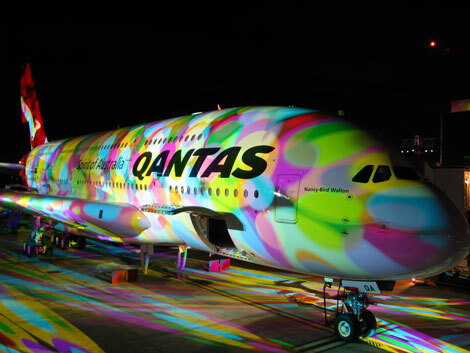 Qantas celebrated taking delivery of its first A380 in Toulouse yesterday (September 19), with a spectacular lightshow on the side of the aircraft. 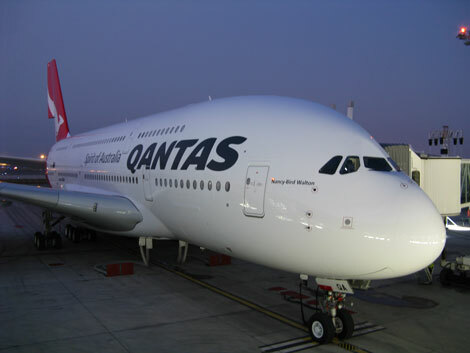 Guests were treated to a moonlit sound and light display, including images of aborginal artwork, famous Australian landscapes, and the A380 assembly line all being beamed onto the pristine white body of the superjumbo. 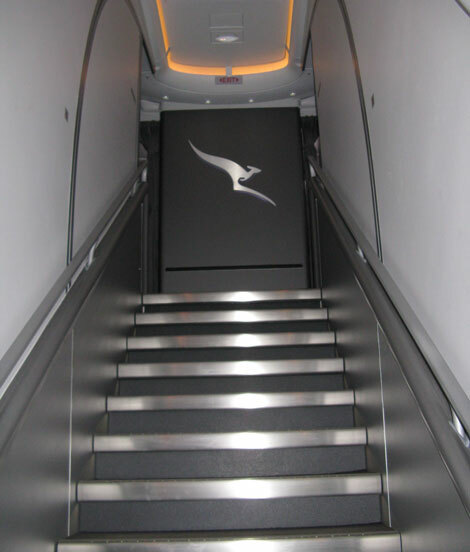 Once the celebrations had finished, the carrier flew the aircraft back to Sydney (via Singapore), ready to go in to service in October (see online news May 14). 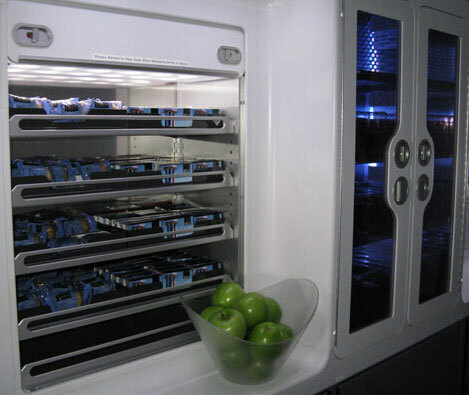 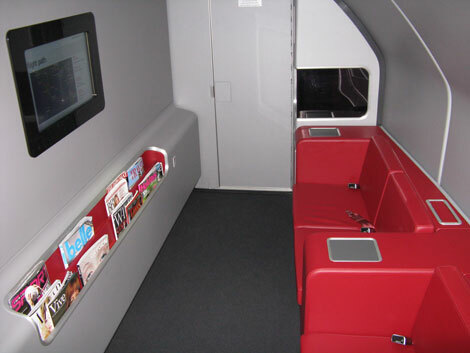 Below are images of the celebrations and aircraft’s onboard product, taken during the delivery flight. 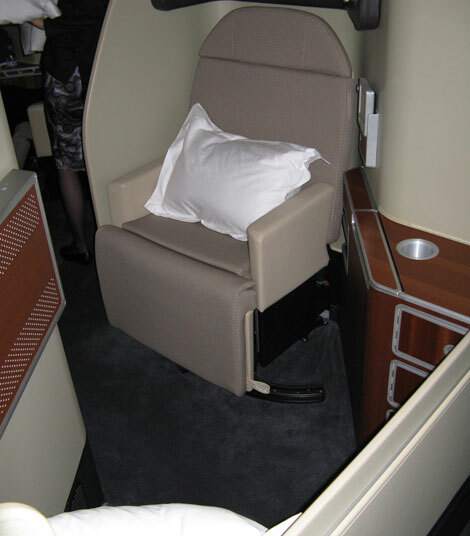 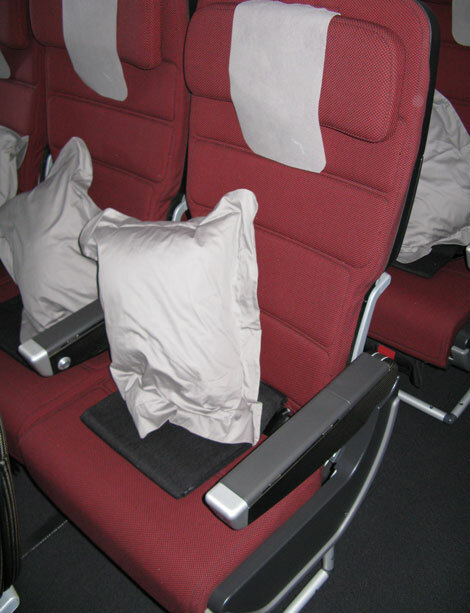 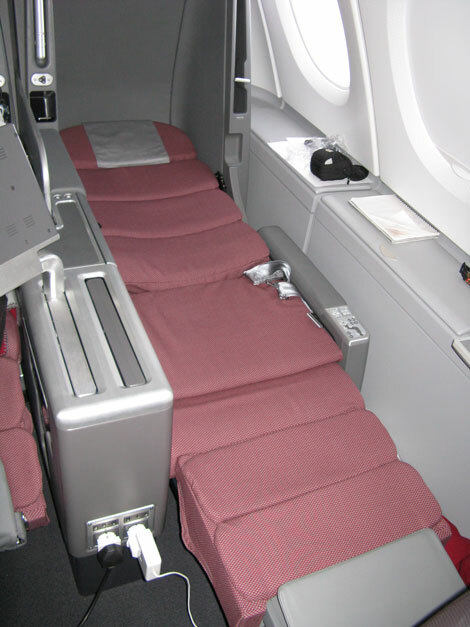 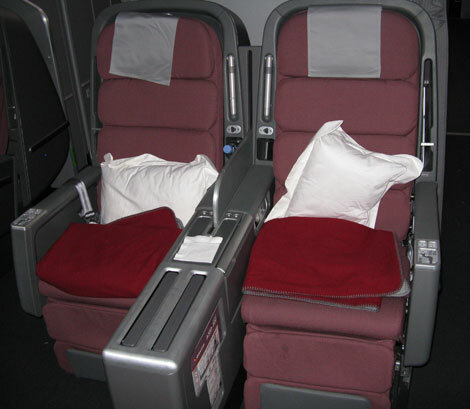 of the business class offering onboard Qantas’ A380, click here.